Why has CPD Been Introduced? CPD was made mandatory for all nurses and midwives in Australia on 1 July 2010. The introduction of CPD was part of a raft of changes implemented by the Nursing and Midwifery Board of Australia (NMBA) during the transition to national registration. The CPD Standard, a publication of the NMBA, provides a clear outline of the legislative requirements for CPD, however little advice is given on how to actually meet these requirements. To help address this, Ausmed has developed the following guide. 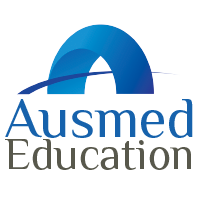 Ausmed's CPD Guide is specially designed to provide you, the nurse or midwife, with a practical framework for planning, completing and documenting your CPD. It also includes links to a number of free CPD tools that will assist you further. Nursing and midwifery practice is evolving rapidly - fuelled by improvements in technology, medications and methods of care. In addition to this, the pressures placed on our healthcare system by an ageing population, chronic illness and sheer population growth are resulting in nurses and midwives working to their full scope of practice more and more frequently. As a result, nurses are not only working in riskier professional settings but are also required to know more than ever before. These factors clearly highlight the need for a formal professional development framework; in particular, a framework that encourages participation in educational activities which meet the unique learning needs of each nurse or midwife. The concept of CPD is not new; the nursing profession has been engaging in professional development since day one. If you've ever acted as a preceptor, mentor or tutor for another nurse, then you've engaged in CPD. However, governments and health departments are now recommending a more formal approach to continuing professional development. The introduction of mandatory CPD is a fantastic milestone in the professionalisation of nursing and midwifery in Australia. It not only helps raise the public and professional profile of nurses, but significantly extends the capacity for education to improve the quality of the care we provide. Nurses are powerful and extremely influential people; we are quick to adapt to change and are highly respected members of our communities. The commitment to provide the highest possible level of leadership and care is what motivates us, but education is what enables us. A CPD standard is vital for the nursing and midwifery professions as it will further extend the vital contribution nurses and midwives make to the health of all Australians. Fulfilling the CPD requirement to your maximum ability. Deciding on and following through with your CPD is often described as a four-step process. You'll see it's not that dissimilar to the nursing process (or other planning processes). It is a cyclical activity that involves renewing practice, identifying learning needs, planning and participating in relevant learning activities, and reflecting on the value of those activities. The final step, evaluation, completes the feedback loop. Hours. In Australia, you are required to measure your CPD in units of time - hour by hour. Some providers assign 'points' to their CPD activities, it's important to check with individual providers their definition of a 'point'. Not all providers equate one point with one hour. In addition to this, neither points nor hours are a tradable commodity. If you are being awarded points for any education you complete, consider asking the provider for a certificate outlining the hours of CPD you have obtained. Remember to double check that every hour of CPD you claim corresponds to one hour of active learning.